fromReason: The world is a better place now that it's harder than ever for governments to keep secrets. fromReason: Deep state tyrants figure to sleep a little better if they can eliminate Assange. fromGaryNorth: Rationing is inevitable in a world of scarcity. You can ration by price: high monetary bid wins. You can ration by standing in line: first come, first served. You can ration by bureaucratic procedure: fill out forms. But there is always rationing. fromSpiked: We should be stripping away curbs on speech – not adding more. fromProvidenceJournal: If our government has improperly used its immense power to spy on citizens for political purposes, it is vital that it be stopped, and those involved be punished, lest we become a police state. fromZeroHedge: It is unclear if demand for Volvos will collapse as a result of big brother watching over every move, or if potential customers will welcome this latest incursion of their privacy. fromEricPetersAuto: Free health care, free college tuition, free child care are the beacons for the liberal Left. Everything but the freedom to think for yourself. fromTheSpectator: The Fox News host’s only real crime is daring to be provocative in a dull media world. fromLibertyPen/YouTube: A look at the apologetic whining from Democratic presidential candidates for having been born white, advocating borders, failing to champion reparations to blacks and other high PC crimes. fromFreeThoughtProject: Sounds impossible, but the police investigated this themselves. fromCommentaryMagazine: The tragic journey from Perez to Chavez to Maduro. fromDailyStar: President Donald Trump has signed the Rapid DNA Act into law which means the police can routinely take DNA samples from people who are arrested but not yet convicted of a crime. fromTownhall: Beware of euphemisms. Radical changes in vocabulary are usually admissions that reality is unwelcome or indefensible. fromFreeBeacon: Government regulations succeeded only in transforming Oxycontin users into heroin addicts. fromActivistPost: The ruling class finds it in their interest to know more about their human livestock. fromBreitbart: President Donald Trump detailed his position Sunday on withdrawing troops United States from Afghanistan and Syria. fromBloomberg: FamilyTreeDNA is the culprit. Unwitting citizens are paying to have their genetic information sent to the FBI and other government databases. Are you a woman traveling alone? Marriott might be watching you. fromReason: The surveillance tactics that have been adopted by hotel chains are part of a disturbing partnership between hospitality businesses and federal law enforcement to track the movements of people, especially women. fromVice: According to a new report by the NGO Health Poverty Action, prohibition drives poverty and criminality in places like Brazil and India. fromABC30: Vice cops look for new products as busybodies seek to mind YOUR own business. fromRutherfordInstitute: Uncle Sam wants you. Correction: Uncle Sam wants your DNA. Actually, if the government gets its hands on your DNA, they as good as have you in their clutches. fromMercedSun-Star: The CHP hasn’t slowed down in cannabis seizures since legalization. In fact, the department seized nearly eight tons of cannabis between January and November of 2018.
fromReason: Government officials should use the success of the competition as an educational moment. fromWND: Daniel J. Pilla explains agency's plan to surveil your finances. fromWND: From the Dakotas to Rhode Island to Kentucky, states are increasingly moving to use nullification as a method to curtail what they contend are unconstitutional actions by the U.S. government. fromForbes: Under federal law, property owners facing civil forfeiture are essentially guilty until proven innocent and must bear the burden of proof, unlike criminal cases. 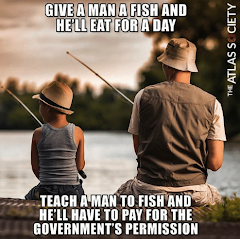 fromReason: Shutdown teaches us that much of government is NOT essential. How long can Congress keep pretending marijuana legalization isn’t the norm? fromCourant: As more states vote to legalize adult recreational use, they are creating a powerful coalition against the federal government, which continues to classify marijuana as an illegal Schedule 1 drug on par with heroin. fromWashingtonPost: The sale of technologies such as spyware and facial-recognition systems to human rights abusers enables insidious social control and encroachment on basic civil liberties. fromLibertyPen/YouTube: A look at the incentives that attract migrants and have politicians blocking attempts to secure the border. Also, a look at the political dynamics driving the government shutdown. fromZeroHedge: Coming to a tyranny near you. The idea is to transform the public to electric cars, then make up lost fuel tax revenue with a scheme like this. fromNYMag: The question before us is a relatively simple one: What would be the criteria for removing our remaining troops from the Iraqi, Syrian, and more general Middle Eastern conflicts? fromCATOInstitute: Throughout the entire Anglo-American legal tradition, the independence of citizen juries has been understood to be an indispensable structural check on executive and legislative power. Jury nullification! fromFreeThoughtProject: He had to steer his electric wheelchair half a mile in subfreezing temperatures to get to a homeless shelter. fromWaatsUpWithThat: From hurricanes to polar bears, a review of debunked climate change deceptions. fromTheGuardian: We knew that being connected had a price – our data. But we didn’t care. Then it turned out that Google’s main clients included the military and intelligence agencies. fromFreeBeacon: Your tax dollars at work. The study, which began during the Obama administration in 2014, recruited young men over Craigslist and Grindr to practice different ways of disclosing they have HIV. fromReason: Do you really care why or are you just going to rejoice? fromTheMercuryNews: Millennials favor socialism. They are also the ones who text message most. Perhaps there is a warped kind of justice going on here. fromDavidStockmansContraCorner: Tesla cars are financed by over $280 million in federal tax incentives, including a $7,500 federal tax break and millions more in state rebates and development fees. Can you say crony capitalism? The EPA wants to get out of puddles and ditches. Environmental activists are outraged. fromReason: A welcome new federal approach under the Clean Water Act. The Obama EPA defined "navigable water" as basically every ditch, puddle, pond, etc. which made them all fall under its jurisdiction. fromZeroHedge: Following allegations of sloppy accounting, potential tax fraud and pay-to-play, the Clinton Foundation will be under a Congressional microscope this week. fromEFF: Here are some gifts being pushed this year that, from a privacy or security standpoint, are on our naughty list. fromForeignPolicyJournal: "Moreover, as the claim is that government was harmed by Wikileaks publishing the truth, Assange’s secret indictment sets the precedent that truth is harmful to government." fromZeroHedge: The government website USASpending.gov reports that "the US Drug Enforcement Administration (DEA) awarded a contract to an American defense company to build a vacuum cleaner for surveillance purposes." fromCaitlinJohnstone: Insightful explanation of the why the mainstream media becomes a statist propaganda tool. fromCreators: Muhammad Ali had it right when he said: "Hating people because of their color is wrong. And it doesn't matter which color does the hating. It's just plain wrong." fromtheFederalist: We spend gobs of money on our military, so what do we get in return? A lot of foreign intervention that has little clear benefit to Americans. fromCreators: If Trump did not recognize hush payments to his (alleged) former mistresses as illegal campaign contributions, he is not criminally culpable. fromBloomberg: Coming to a tyranny near you? China’s plan to judge each of its 1.3 billion people based on their social behavior is moving a step closer to reality. fromCreators: "Normally, I would have reported this incident to the proper authorities. Inappropriate contact with a child is a criminal act. But in this case, the proper authorities were the ones feeling up the kid." fromGrabieNews: Some in the caravan are launching projectiles at U.S. border authorities. fromTheHill: An opinion piece from Wendy McElroy. The pending bill would expand the definition of DV in a way that could harm abused women and other innocent people. fromReason: America's top social scientist on what has changed since he sat down with Reason 38 years ago. fromReason: More than 1,100 people living in America's 50 largest cities have received bailout funds intended for farmers harmed by Trump's trade war. fromTheHill: The most important takeaway is that we will have a divided federal government, with the executive branch and Senate controlled by the Republicans and the House controlled by the Democrats. fromSaltLakeTribune: For the uninitiated, this is a law that allows the government to legally take possession of your property without even having to charge you with commission of a crime, let alone secure a conviction. fromNBCNews: "Marijuana has now been legalized for adult use in one out of every five states, so I think it's safe to say federal laws are in need of an update," he said. fromLibertyPen/YouTube: From Tucker Carlson Tonight, a look at how racism has been reduced to virtually a meaningless political tactic. Christopher Harris. fromTheFreeThoughtProject: Earlier this month, the kind folks over at Free Hot Soup Kansas City hosted a picnic at their local park and invited hundreds of homeless people to partake in the food. fromDailyMail: The US Drug Enforcement Administration and Immigration and Customs Enforcement agencies have hidden a number of covert surveillance cameras inside street lights, according to federal contracting documents. A national debt 6 times the size of the economy? That's where America is heading. fromReason: While federal revenue will continue to rise as well, it will not keep up with spending. fromAEI: Trump’s steel tariffs are backfiring even for the US steelmakers who were supposed to be the main beneficiaries of tariffs since the whole point of Trump’s protectionism was to artificially prop up high-cost. fromTheFreeThoughtProject: Government's compliant slave training. Students in a Kansas middle school were humiliated after officials removed large chunks of their hair to comply with the school's drug test policy. fromTheDailyBell: Government used the terrorism crisis to deploy its massive domestic surveillance scheme. Read about the real reason it exists. fromCreators: The Founders recognized that we need government; however, they also recognized that the essence of government is force and that force is evil.